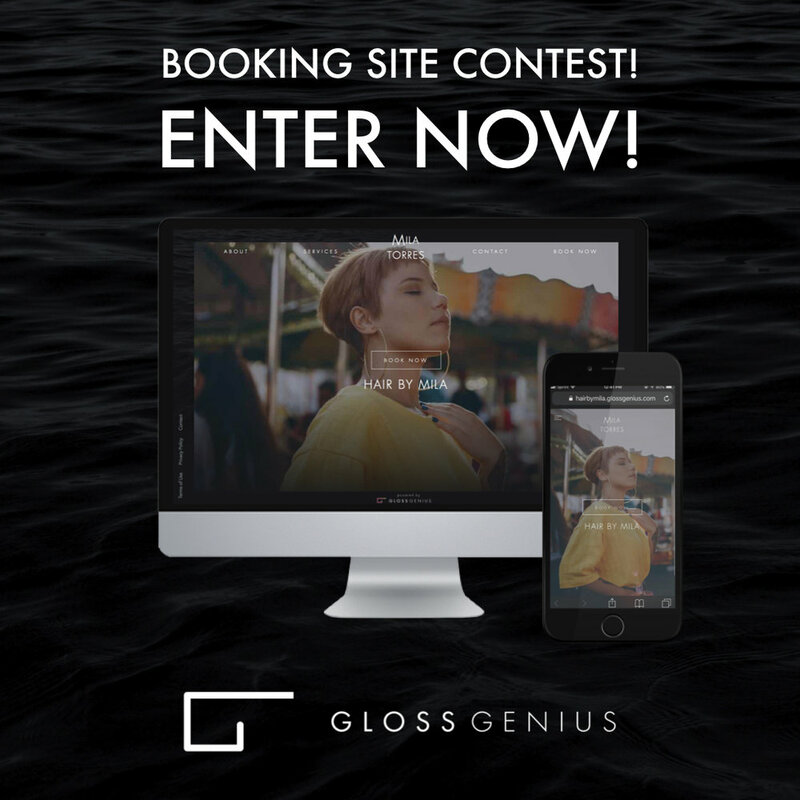 GlossGenius wants to see your booking site for a chance to win 3 Months of GlossGenius Tag @GlossGenius and #GlossGenius to enter and be featured on our page! ✨ We’ve seen SO many stunning booking sites that GlossGenius professionals have created and it’s time to show them off! A top 10 will be chosen and our #GlossBoss community will be invited to vote for their fave! The top 3 winners will each win 3 months of GlossGenius! Post your GlossGenius booking site and @GlossGenius with #GlossGenius in your caption so we can find it! Feel free to have fun and get creative with how you want to show off your #GlossGenius booking site! Videos, pictures, stories, flat-lays — however you choose! What makes a #Genius Booking Site? 2) TAG @glossgenius and #GlossGenius in your post. 4) Entry must be a post and not a story for us to find. 4) Contest runs until 1/24. VOTING BEGINS 10/25. WINNER ANNOUNCED 1/31!